Help Fund Our Exciting Mission! 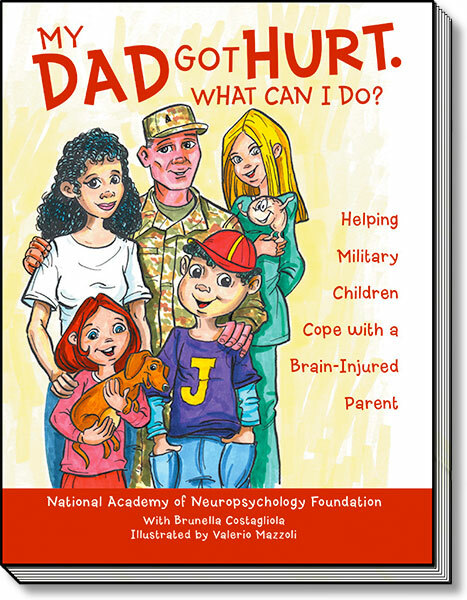 Our first children's book addressing brain injury in military families is in print! "My Dad Got Hurt. What Can I Do?" For every $15 you donate we will gift a book to a warrior family! Tax deductible contributions make it possible for The National Academy of Neuropsychology Foundation to forward our central mission to educate and inform the public about news and developments that benefit and promote brain health. Your generous contributions will underwrite two exciting Foundation projects in 2017! 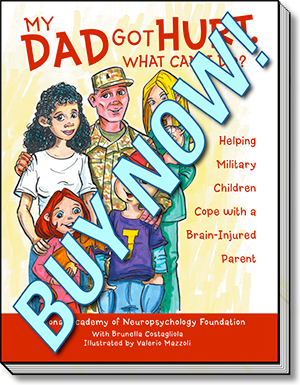 The continuing publication of a series of easy-to-read children's books that will address brain injury and PTSD in the warrior parents and the effects on their young lives. You will be listed as a contributor to these projects on this website and in any promotional material for the book and movie. You will be listed as a major contributor to these projects on this website and in any promotional material for the book and movie. You will be listed as a major sponsor of these projects on this website and in any promotional material for the book and movie; we will include your name in the actual book and movie dedications.